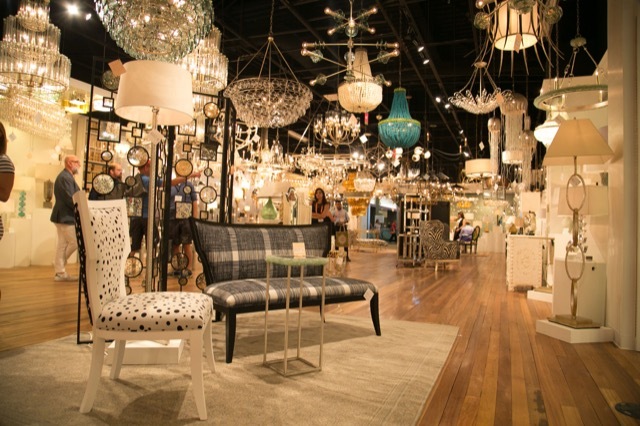 The new Currey & Company showroom in Las Vegas, filled with sultry style. Photo Myron Hensel. 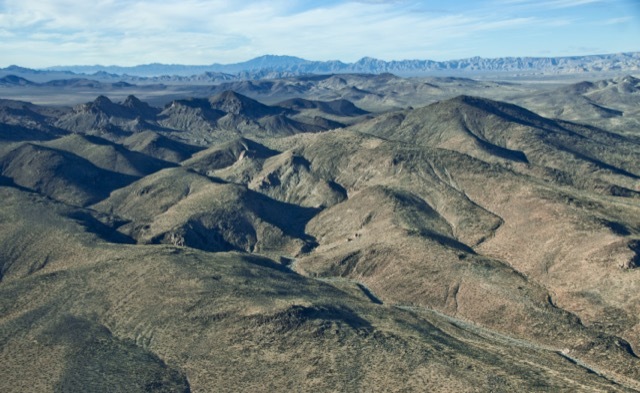 I’ve come across a number of events lately that prove sultry desert air has a way of turning exquisiteness into splendor. 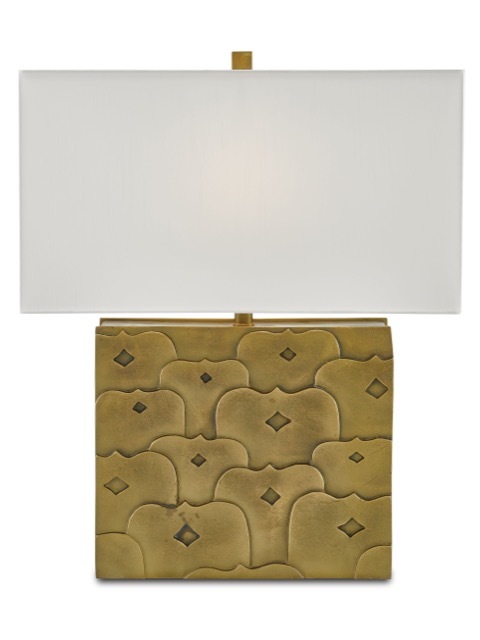 Most recently, it was the return of Currey & Company to Las Vegas during market, as the images of the showroom above and below illustrate the sultry style that blossomed there. 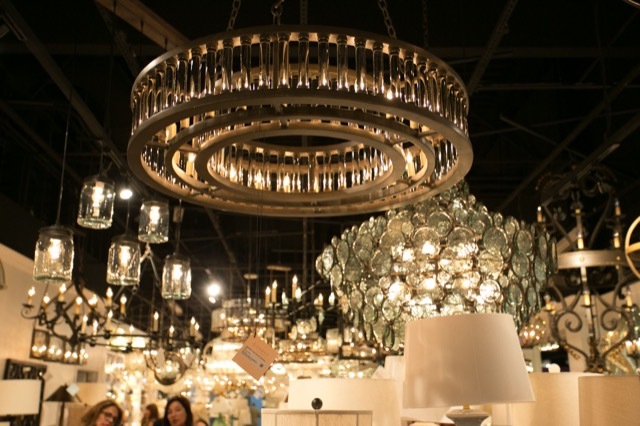 The Currey & Company Vegas showroom debuted to accolades. Photo Myron Hensel. 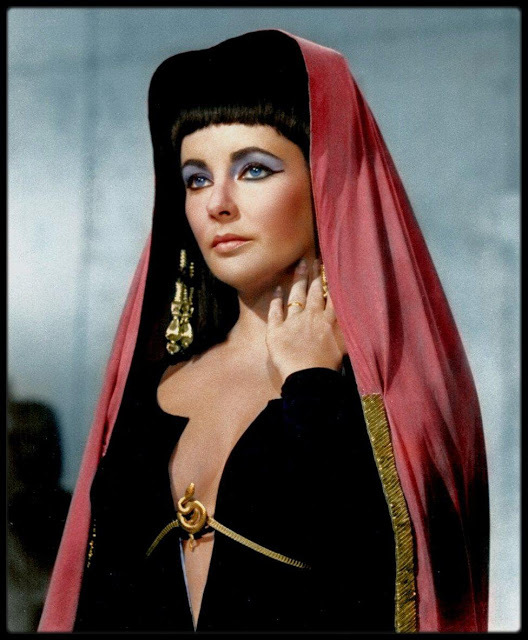 Elizabeth Taylor as Cleopatra, a beguiling and powerful performance. Farther back in time, though no less illustrious, it was the 1963 epic drama Cleopatra starring Elizabeth Taylor as the Queen of the Nile. 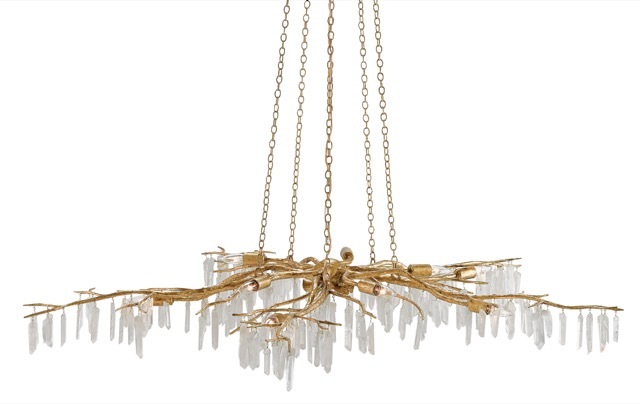 Craving a little glitz and glamour, I watched the film recently, marveling at the beginning overture, the heavy red velvet drapes drawn closed while anthemic music throbbed making it clear there was quite a spectacle about to unfold! Theater-going was quite different then if the audiences had the patience for such a long lead-in, though I must admit the sumptuousness would be a nice respite from the glaring ads that hold us hostage before a movie begins these days. Liz Taylor and Richard Burton as Cleopatra and Mark Antony. The film, which also stars Richard Burton as Mark Antony and Rex Harrison as Julius Caesar, clocks in at over four hours, and I was surprised at how quickly the scenes flew by. 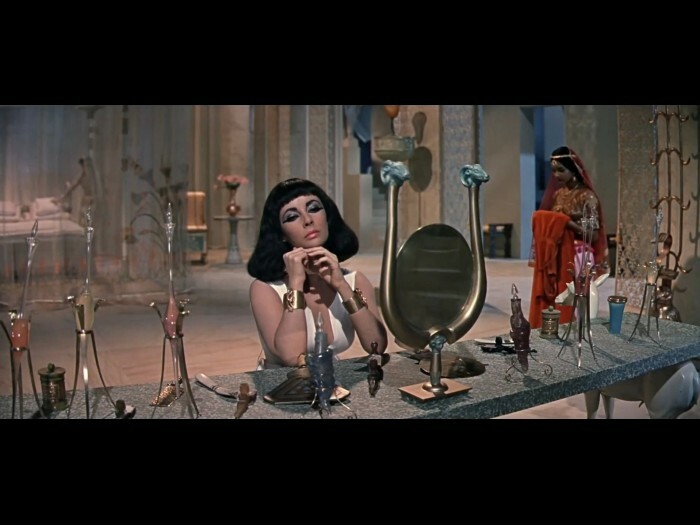 Filmed in Italy, Spain and Egypt, the sets and costumes were as over-the-top as Cleopatra’s personality. I was too young to see the movie in theaters when it was released and I had seen only snippets of it over the years so I didn’t know what to expect of Taylor’s performance. In all honesty, I was quite moved by the magnificence of her beauty as she played the ruler so commandingly yet beguilingly. It’s no wonder Richard Burton fell in love with her during the filming of this movie! I thought as I witnessed their chemistry and realized how steamy it was for its time. I came across this article in Another magazine that claims the blockbuster nearly bankrupted the film studio when it was made, the only thing pulling them from the abyss The Sound of Music two years later! The piece, by Daisy Woodward, also notes that 26,000 costumes were created for the film, not a surprise given the number of extras there were roaming the countryside in fluted leather skirts and gladiator sandals—all male back then in case I inspired a visual on par with lanky female models flouncing down the runway in Alexander McQueen! 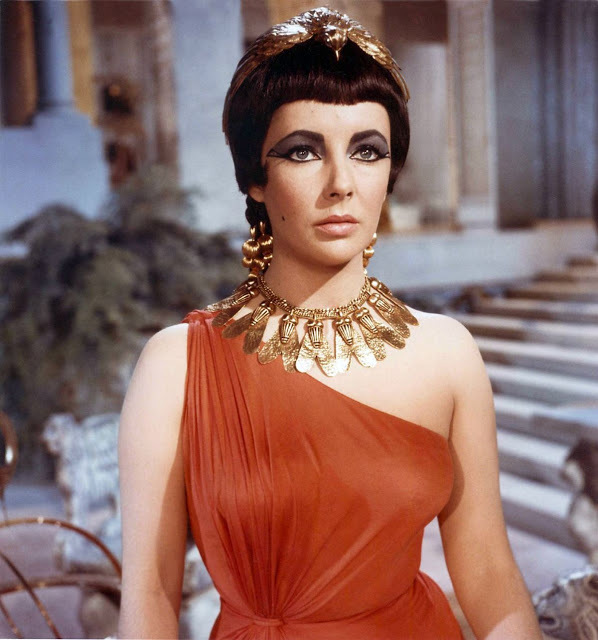 Elizabeth Taylor in her Winner-take-Rome costume in Cleopatra. Taylor had 65 costume changes in the movie, a record for a motion picture at the time; and the 24-carat gold cloth cape she wore during her grand entry in Rome, designed to look like the wings of a phoenix, was made of thin strips of gold leather embellished with thousands of bugle beads, seed beads and bead-anchored sequins. I suppose this explains the $194,800 wardrobe budget, which was a massive amount of money for the time. 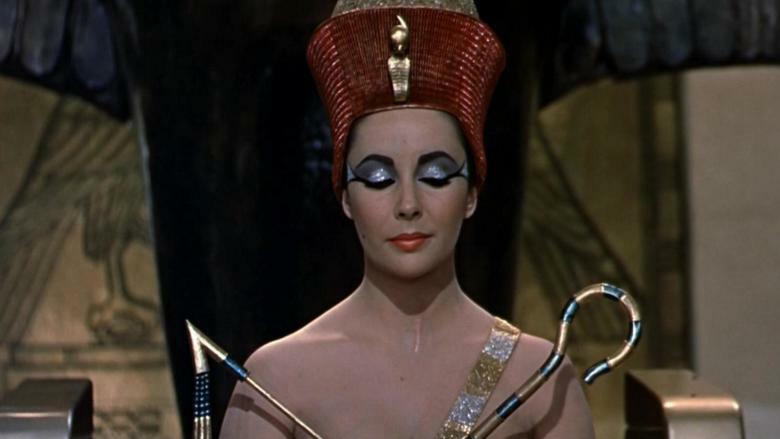 Elizabeth Taylor is a sensual force in Cleopatra. 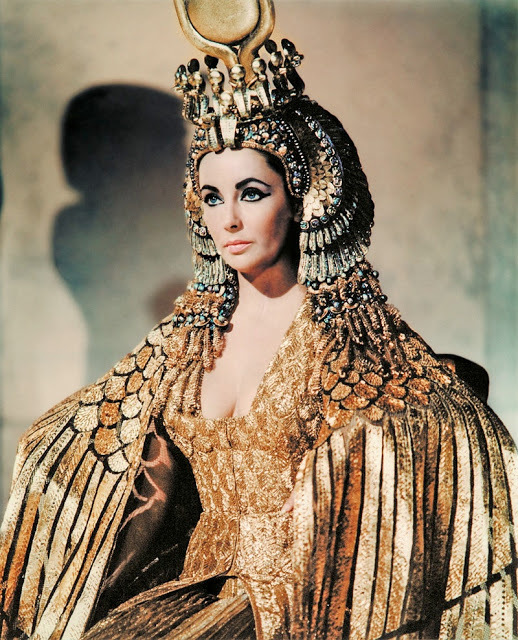 Elizabeth Taylor’s wardrobe in Cleopatra is stunning. 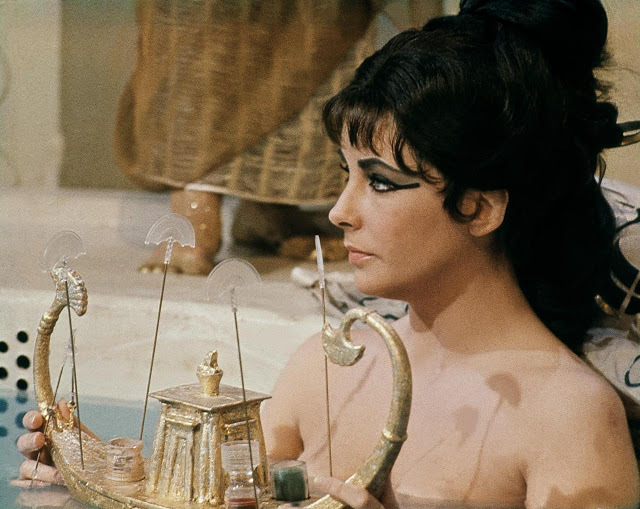 Elizabeth Taylor is dreamy seated at her vanity in Cleopatra. As she delves into Cleopatra’s reign during a summer that found her in a desert camp “under the glassy heat of the Syrian sun with a band of mercenaries,” Schiff explains that the Nile is nearly two miles farther east than it was in her time; that only the dust, the sultry sea air and Alexandria’s melting purple sunsets remain unchanged. This is one of the scenes she set that brought Currey & Company’s return to Vegas to mind. 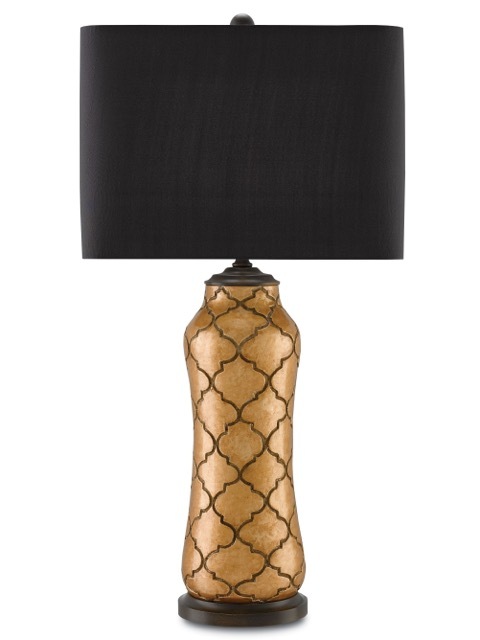 In another desert not so far away, Currey & Company opened a Las Vegas showroom this summer. Image courtesy Wikimedia and Bert Kaufmann. 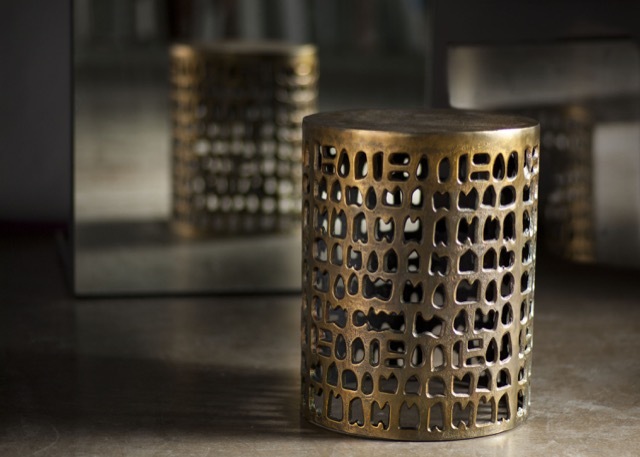 Another drew parallels with the design featured in the new showroom. Schiff explains that Cleopatra was not necessarily beautiful; it was her wealth and her palace that left the Romans gasping. To celebrate the resplendent taste of this prestigious woman, I’ve chosen some of Currey & Company’s offerings that I think would have appealed to her, many of them debuting in Vegas last week in the sultry style she embodied. 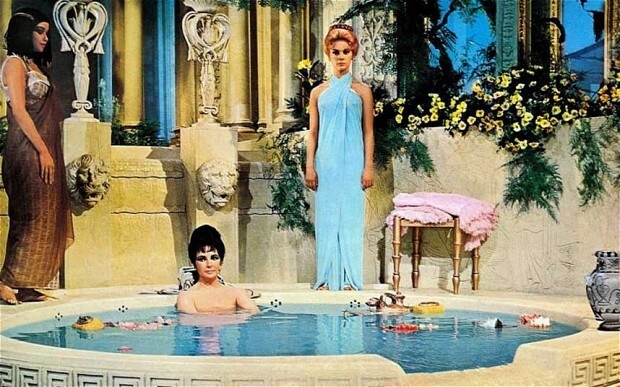 Cleopatra’s palace in the 1963 film about the erstwhile queen. 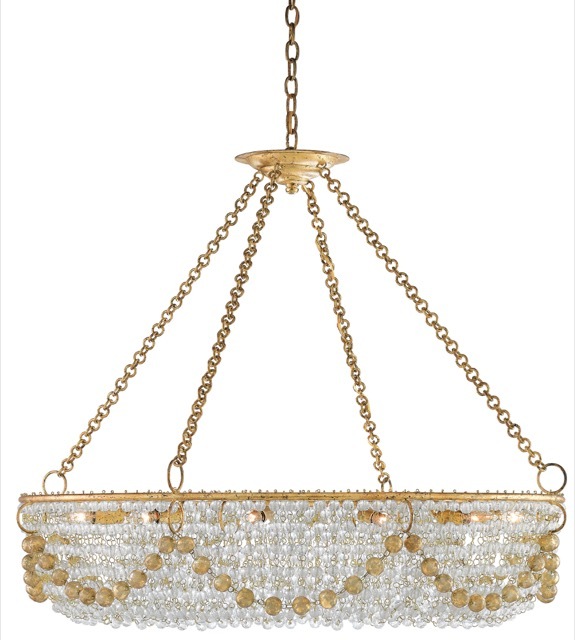 The Forest Light wall sconce in Currey & Company’s Aviva Stanoff Collection would have shone brightly in Cleopatra’s boudoir. 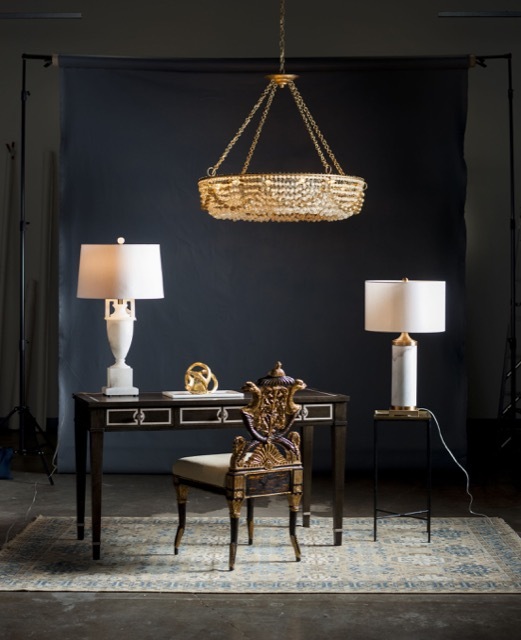 I hope you enjoyed this look at Cleopatra’s sultry style à la Currey & Company. Let me know which products I’ve chosen that you think are the most fitting for the luxurious palace of this erstwhile queen, would you? 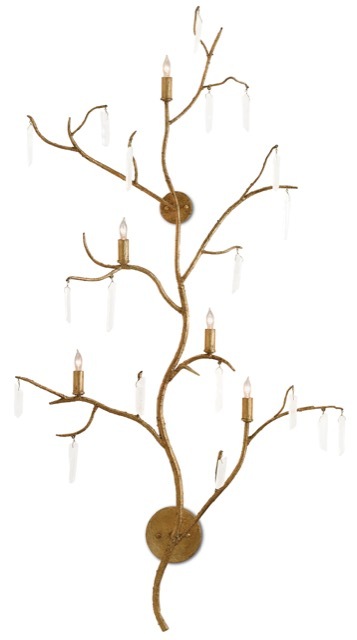 This entry was posted in Currey & Company, Market, Products and tagged Chandeliers, Gold, Leather, Lighting, Modern, occasional tables, organic shapes, Table Lamp, Wall Sconce on August 11, 2016 by Currey & Company.